If self-doubt is holding you back in your relationships, career, creativity or your business, Courage & Spice is especially for you. 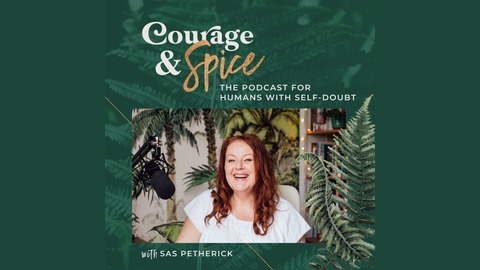 You’ll find inspiring conversations about all things self-doubt - including real-life stories and research-led approaches to help you navigate through it. 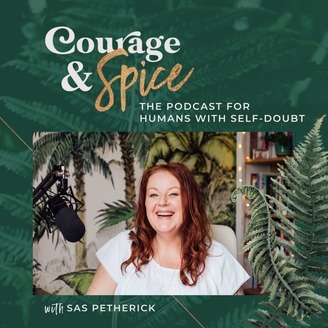 I’m Sas Petherick and my work is all about helping you cultivate self-belief - my Master's research was a deep study into the phenomenological experience of self-doubt - I’m absolutely fascinated by it. More goodness for you: www.saspetherick.com. Ruth Allen is a counselling psychotherapist, outdoor therapist and writer interested in solitude, silence, movement and narrative. She is also an organisational trainer, endurance runner and mountain addict. Last year Ruth ran the entire 350 km length of Bosnia and Herzegovina across the mountains. Solo and unsupported, wild camping across the country. One woman, with a tent and stove. Ruth’s storytelling of that journey was profound and compelling and brave. In this episode, we talk about Ruth's trek, the existential doubt that resides somewhere underneath our self-doubt, the importance of ritual for integrating our experiences. And the dance between the numinous transcendent moments and the mostly mundane aspects of our everyday human existence.